Audi Certified, GREAT MILES 17,089! Premium trim. FUEL EFFICIENT 30 MPG Hwy/21 MPG City!, $1,000 below NADA Retail! NAV, Sunroof, Heated Leather Seats, All Wheel Drive, Rear Air, Turbo, AUDI GUARD PROTECTION KIT, Alloy Wheels. AND MORE! 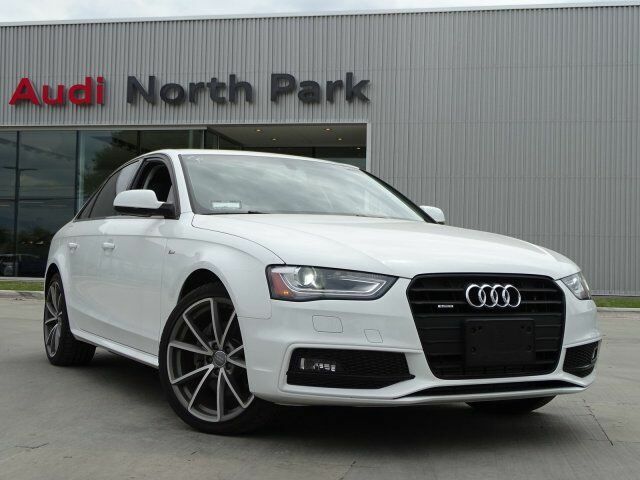 SEASON OF AUDI PACKAGE - 19" WHEELS Parking System w/Rearview Camera, rear acoustic sensors, Wheels: 19" Audi Sport 5-V-Spoke Design Titanium, Tires: P255/35 19" Summer, Audi Advanced Key, keyless engine start, stop and entry for doors and trunk, Audi Connect w/Online Services, HDD Navi w/Voice Control Controls cellular phone, CD, radio and navigation, speech-to-text engine, Radio: 1 CD/DVD-Player & HD, dual SD card slots and SiriusXM Traffic w/4 year subscription, Color Driver Information System w/Trip Computer, MMI high control panel, color, 5-function trip computer (fuel range, average fuel mileage, current fuel mileage, average speed and elapsed time) operated by toggle switch at end of windshield wiper stalk, outside temperature display, digital speed display, radio/telephone display Sunroof, All Wheel Drive, Aluminum Wheels, Steering Wheel Controls, Child Safety Locks, Electronic Stability Control, Heated Mirrors. Pricing analysis performed on 3/23/2019. Horsepower calculations based on trim engine configuration. Fuel economy calculations based on original manufacturer data for trim engine configuration. Please confirm the accuracy of the included equipment by calling us prior to purchase.